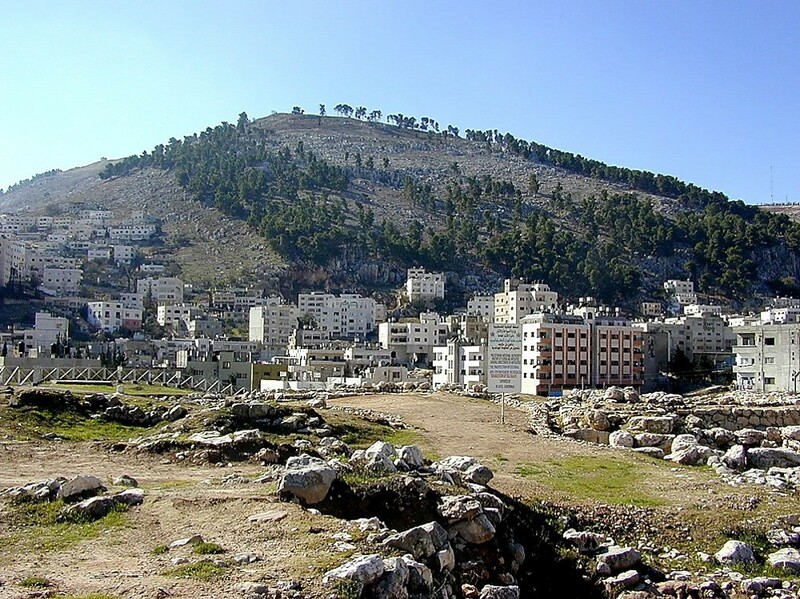 Jesus goes to Samaria: 4 And he had to pass through Samaria. 5 So he came to a town of Samaria called Sychar, near the field that Jacob had given to his son Joseph. 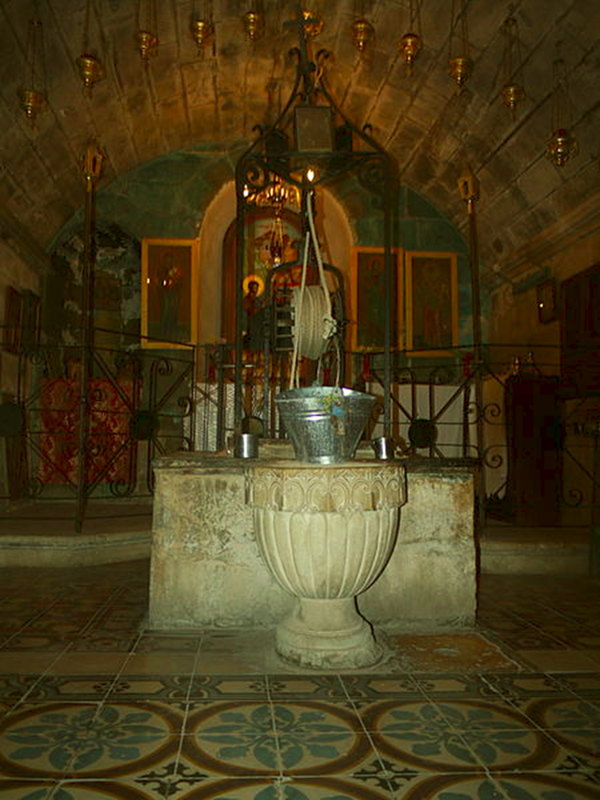 6 Jacob’s well was there; so Jesus, wearied as he was from his journey, was sitting beside the well. It was about the sixth hour. b. hour: 21 Jesus said to her, “Woman, believe me, the hour is coming when neither on this mountain nor in Jerusalem will you worship the Father. c. the Jews: 22 You worship what you do not know; we worship what we know, for salvation is from the Jews. A. The woman’s witness/Samaritans come: 28 So the woman left her water jar and went away into town and said to the people, 29 “Come, see a man who told me all that I ever did. Can this be the Christ?” 30 They went out of the town and were coming to him. B. Gods’ work/Jesus’ food: 31 Meanwhile the disciples were urging him, saying, “Rabbi, eat.” 32 But he said to them, “I have food to eat that you do not know about.” 33 So the disciples said to one another, “Has anyone brought him something to eat?” 34 Jesus said to them, “My food is to do the will of him who sent me and to accomplish his work. Many believed/woman’s testimony: 39 Many Samaritans from that town believed in him because of the woman’s testimony, “He told me all that I ever did.” 40 So when the Samaritans came to him, they asked him to stay with them, and he stayed there two days. Jesus goes to Galilee:43 After the two days he departed for Galilee. 44 (For Jesus himself had testified that a prophet has no honor in his own hometown.) 45 So when he came to Galilee, the Galileans welcomed him, having seen all that he had done in Jerusalem at the feast. For they too had gone to the feast. Last week we began looking at the story of Jesus and the Samaritan woman. We saw how Jesus crossed the social boundaries of gender, morality and religion/culture to speak to her about the living water he gives – that is, the Holy Spirit who brings eternal life. This is why he “had to pass through Samaria” as it says in John 4:4; it was the Father’s purpose. Today we look at the middle portion of our story and our focus in on worshiping the Father in Spirit and truth. So they’ve been talking and Jesus turns the conversation toward her. He wants to get at a core issue in her life. Although she was bold before when she was questioning Jesus, here she becomes evasive. In fact, she wants to hide something from Jesus. She tells Jesus, “I have no husband.” Now the word that is used here by both Jesus and the woman can mean “husband” or simply “a man.” She uses it to mean that she is not married, making her sound like she is not in a relationship. He knows that she has been married five times. It’s not clear to us why, but there were almost certainly some divorces involved here. By the standards of the day (at least in Judaism) only 3 legal marriages were acceptable. So she has been in and out of a number of relationships, which would have reflected badly on her. But more importantly, Jesus knows that she is in a sixth relationship. She is in a non-marital sexual union; as we say today, she is living with someone. She’s impressed by what he knows and comes to the conclusion that he’s a prophet. So she has a theological question for him about the right way to worship. She asks which mountain is the right place to worship, Mt. Gerizim or Mt. Zion in Jerusalem. Again division raises its head. She says that “our fathers” worshiped on this mountain, most likely referring to Abraham (Genesis 12:7) and Jacob (Genesis 33:10) who worshiped at Mt. Gerizim. And since Samaritans didn’t accept any Scriptures except the Law of Moses – the first five book of the Bible – and these don’t talk about a temple in Jerusalem, the Samaritans argued that true worship should take place on Mt. Gerizim (Some of their case: Jacob’s dream took place here, where he said, “God is in this place – Genesis 28:16, and he built an altar here in 33:19-20; Deuteronomy 27:3-5). But Jews, of course, based on further Old Testament teaching, built the temple in Jerusalem. With the coming of Jesus things are changing. And his coming transcends the divisions between Jews and Samaritans. From now on neither mountain is key. • In Spirit – this is worship that is inspired and empowered by the Spirit. (Jesus has just taught her about living waters that refer to the Spirit and so we should take this to be a reference to the Holy Spirit, as in almost every other case of the word Spirit in John). • In truth – this is worship that is in accord with what Jesus teaches; which is the full revelation of God’s truth. What he is doing here is teaching her one part of this, that true worship is not exclusive to a central shrine or temple but is Spirit inspired. If the current worship of Samaritans is not fully true (you worship what you do not know – v. 22 ) they can offer true worship if they worship in accord with what Jesus says. This is an amazing statement. God is on a mission. God doesn’t sit back a wait for people. He actively seeks out people to know and honor him. And this includes this Samaritan woman. God wants her and all people to worship him in Spirit and truth. When Jesus says, “God is spirit” he means that God is not physical; he is not just found in one place. He can be worshiped anywhere. Notice that we worship the Father, in accord with what the Son teaches, empowered by the Holy Spirit. At the beginning of their conversation Jesus notes that she doesn’t know who he is. “If you knew who it is that is speaking to you . . .” you would ask him for living water. But now he has clearly told her. This is an amazing revelation of Jesus to her, ‘I am the Messiah.’ It is very unusual for Jesus to be so clear. She is certainly blessed to have him speak this way to her. Specifically, he is saying that he is the one Moses spoke of and he has just settled the dispute between the Jews and Samaritans as he spoke to her. So we end today where we began last week, with Jesus crossing the social boundary of gender, and the disciples are duly shocked, but don’t say anything. To use the language of Jesus in v. 23, are you a “true” worshiper of God? It is not about coming to this building each Sunday, so that you think you have worshipped because you have come to a certain place and sat through a service. Perhaps you are here but you are really distracted about your week to come and all that you have to do, or you are still trying to figure out how to deal with the problems of last week. Or maybe you are here but you are busy talking or texting to others. Or maybe your coming here is more about a weekly ritual than true worship. True worship is about the Spirit of God opening up your heart to receive from God – as we gather to sing and pray and hear God’s word, or as you do these things during the week wherever you are at. We have to allow the Spirit to move within us and among us so that we connect to God. This is true worship. It is so clear in this passage, God is seeking people to worship him truly. God wants them to know him and honor him and to be made whole be recognizing our true King. 1. It includes divine appointments. This is why Jesus “had to pass through Samaria.” God wants this woman, with all of her brokenness and failures to worship him truly. 2. It includes crossing social boundaries. In our part of the story today all three boundaries are dealt with – gender, morality and the differences between Jews and Samaritans. 3. It includes a focus on Jesus. When possible division came as she asked which mountain is correct for worship, Jesus focused on how his coming transcends these differences. – her sexual immorality – v. 16. Jesus didn’t shy away from this. It needed to be dealt with. – her misunderstandings – v. 22. The Samarian errors about worship. 5. It includes leading people to true worship. This is the point of God’s mission. Once we have come alive to God by drinking of the living waters, the Spirit leads us to be in relationship with God through worship.